Denny finally edited that long-lost special episode, and here it is – part 1 of a Cadbury Cavalcade! With a bountiful selection of Cadbury creations, the ladies begin a journey to find which ones to keep and which to Cad-bury. 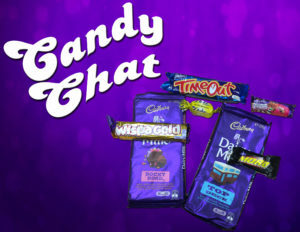 Dairy Milk bars, Moro, Wispa Gold, Flake and TimeOut are sampled in the first part, with many more to come in part 2. Which will impress Betty and Tab and which will find a home in the rubbish bin? 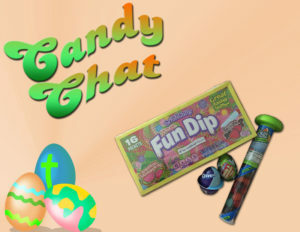 Find out in this episode of Candy Chat! 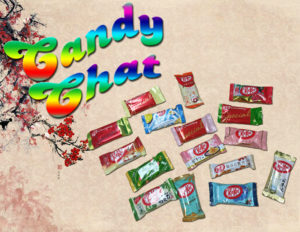 Enigmatic jet-setter Stella Robicheaux has sent the ladies foreign treats, this time several flavors of Japanese Kit-Kats! Bearing such flavors as Pistachio Grapefruit, Rum Raisin, and Butter, these Japanese Kit-Kats have Betty and Tab second-guessing their taste buds. Did the tricky Stella pull another fast one on them? Or is this a mea culpa worthy of true forgiveness? 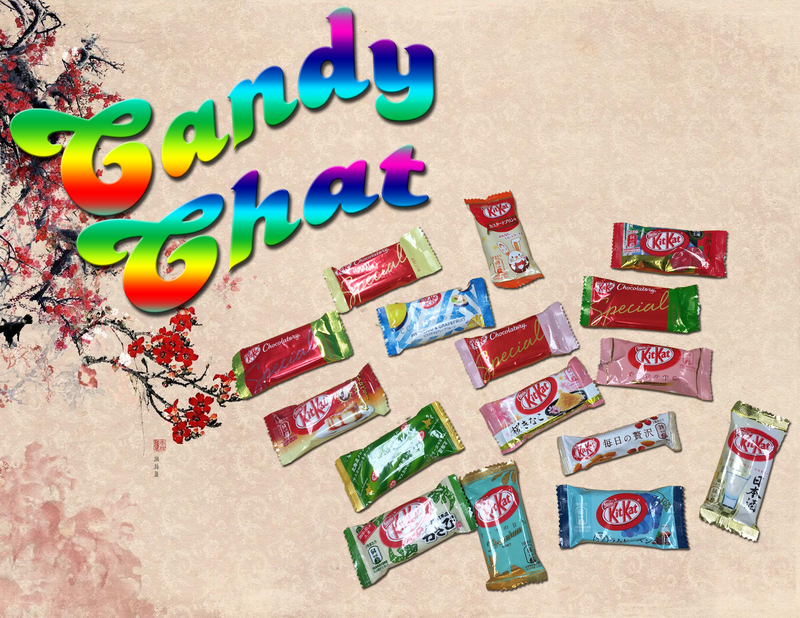 Grab your chopsticks and tell your kitty hello for this episode of Candy Chat! The girls get smart and tart with an episode all about cherry candies! The sampling covers some new, some old cherry candies with Cherry Mash, ICEE Squeeze, and Dairy Milk Black Forest. How tart can Betty and Tab handle it? Will any be surprises and/or busts? 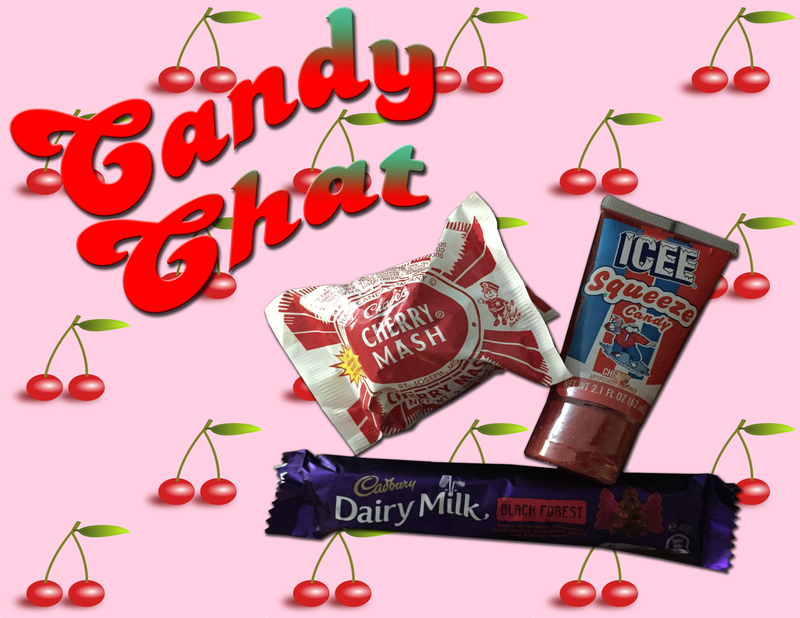 Check out this episode Candy Chat and see which candy is the cherry bomb! 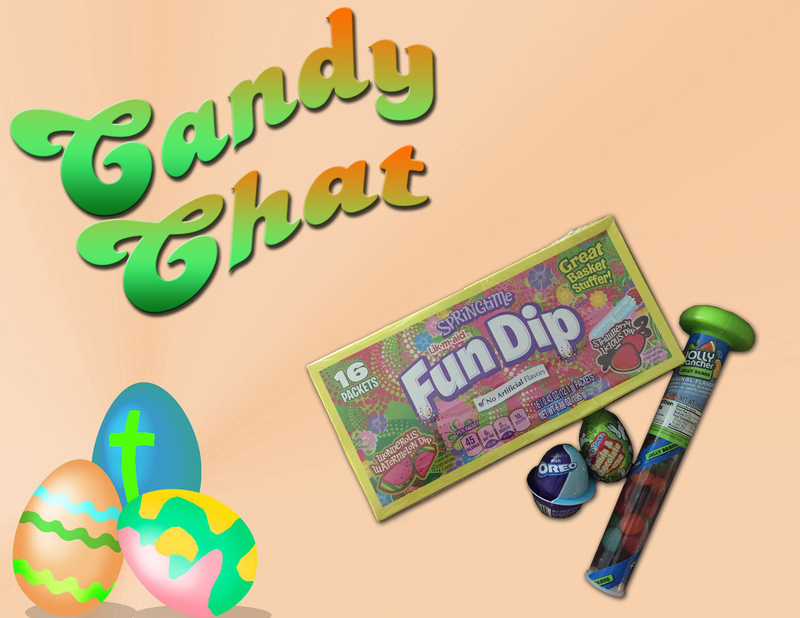 Easter has risen again in this year’s edition of Candy Chat! Betty and Tab sample the Easter treats of Cadbury Oreo Cream Egg, Fun Dip, Jolly Rancher Jelly Beans, and an egg from Russell Stover. Reviewing the packaging, taste, and texture of each, the ladies see which will go in the treat basket and which will go in the wastebasket. Can Russell offer an egg that compares to Cadbury’s? Will the Fun Dip live up to its name and be as good as it used to be? Don’t let the bunny hide this treat of an episode from you! The past is alive thanks to some kind listeners as Betty and Tab try historical candies! With such historical candies as cacao nibs, resin wax, sticks and even bugs, the ladies find out just how lucky they are with today’s candy. They also sample some garlic fudge from the Isle of Wight. Will any of these treats be sweet? Or will history be unforgiving? Tune into this episode of Candy Chat and find out which old candy are boring duds and which are kind to the taste buds! 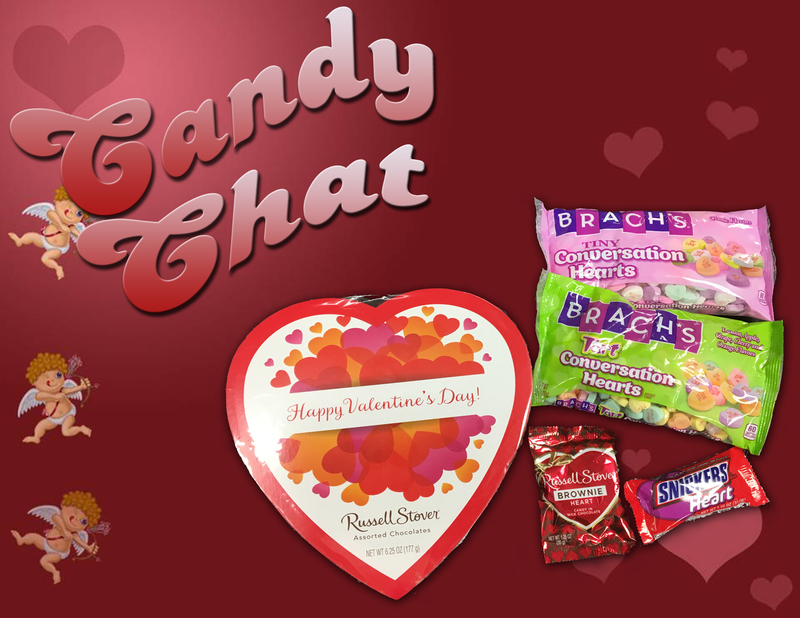 Betty and Tab have a real heart-to-heart in this Valentine’s Day 2017 edition of Candy Chat! Russell Stover pulls double duty with a heart box and brownie, Snickers joins the party, and Brach’s conversation hearts finally make an appearance. Who will steal the ladies’ hearts and who will leave them broken this year? Can the gals depend on Snickers as a touchstone of taste? Choo-choo-choose this episode of the podcast and find out! 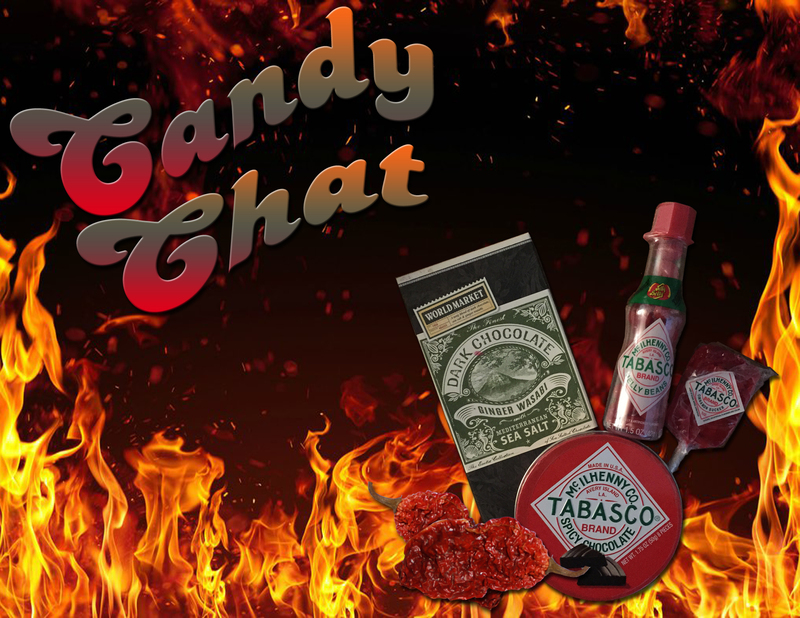 Betty and Tab step out of their comfort zone after receiving a package of Tabasco candies from the mysterious and alluring Stella Robicheaux. Tobasco Chocolate, Jelly Bellies, and suckers are scary enough, but Ms. Robicheaux also included a candied ghost pepper to try. Will these spicy candies spell doom for the ladies? Or will their fiery bark be worse than their flaming bite? Find out if the ladies’ tongues (and equipment) survive this hot hot hot episode of Candy Chat! 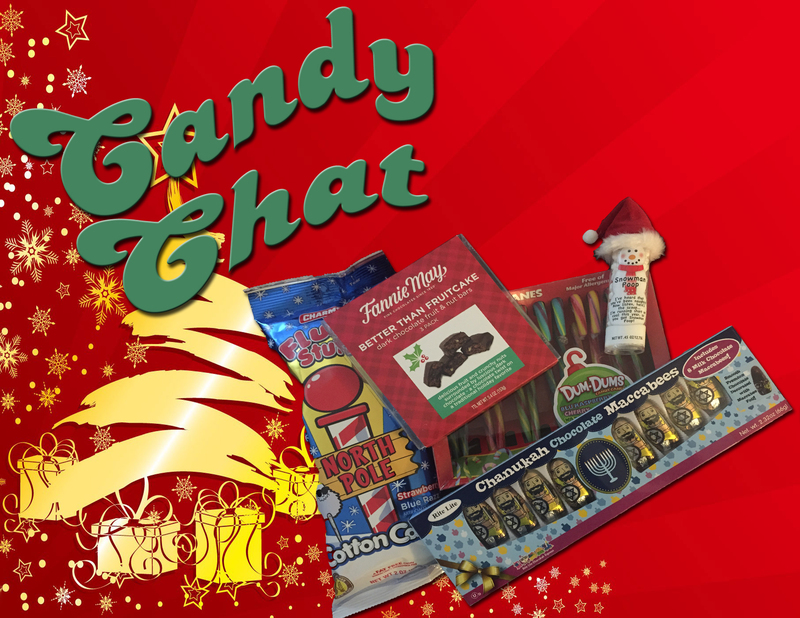 Just hear those sleigh bells jinglin’, delivering a bag full of candy for Christmas 2016! With discount candy taken off the shelves early this year, the Christmas 2016 Candy Chat was pulled form the jaws of defeat by Betty’s dumpster-diving efforts. Luckily, she pulled out some great treats intact! Fannie May Better Than Fruitcake bars, Dum Dum Candy Canes, and Charms Fluffy Puff cotton candy are some of the interesting finds this time around. Will the ladies be sorry they pulled these sweets from doom? Find out on this holiday episode of Candy Chat! 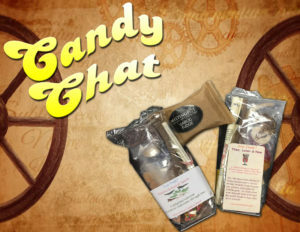 Betty and Tab take a trip to yesteryear and try a few selections of old timey candy! 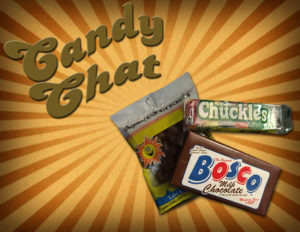 The ladies partake of Chuckles Jellies, Candy Raisins, and Bosco Chocolate, but which old timey candy fails and which is timeless? 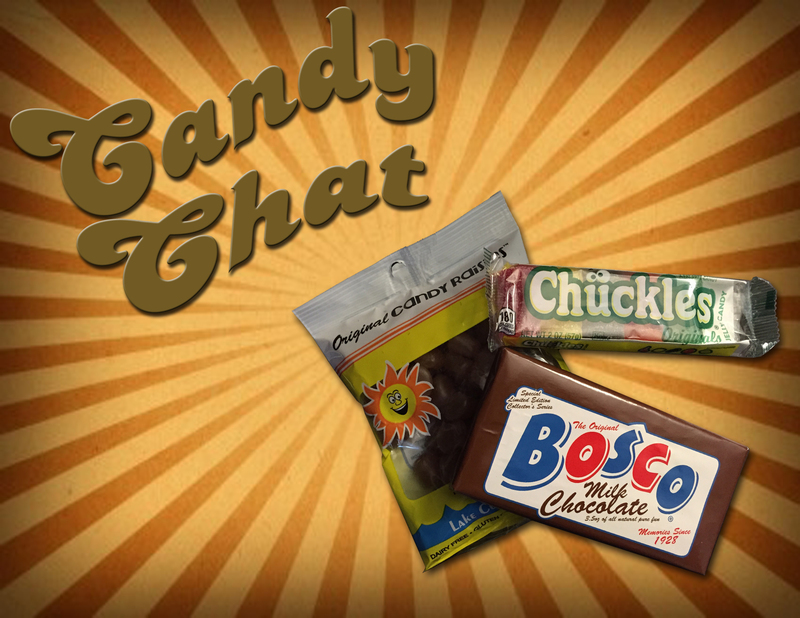 Join Candy Chat to find out which treats your forebears enjoyed. Were they okay with lying packaging? Did they just eat error candy because what else was there? See which confections can stand the test of time on this episode of Candy Chat! The spookilies get dookilier this year for Halloween 2016! This Halloween, the ladies are getting scared by Booger gummies, Skittles Cauldron, Butterfinger Skulls, and Russell Stover’s pumpkin spice latter bar. How many tricks are in this plastic bucket? Will there be any treats at all? Betty and Tab haven’t heard from Russell Stover in a while, what will he bring to the dessert table this episode? 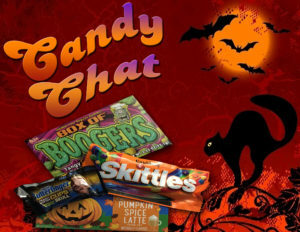 Grab your favorite candy snacks and a change of unders, this Candy Chat might sjock your shorts!